Silver Teacher Opens A Mind Wire Wrap Bracelet. 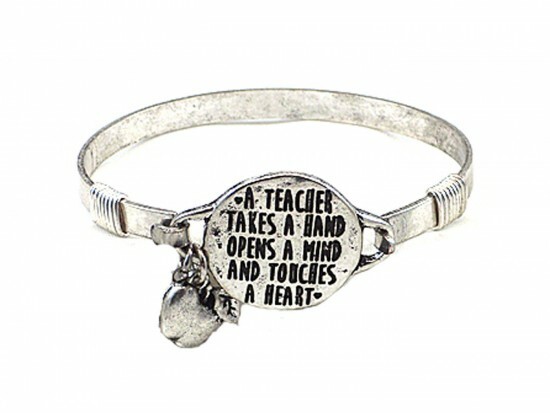 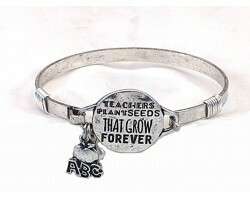 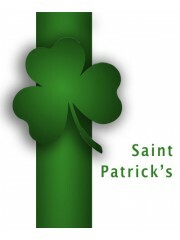 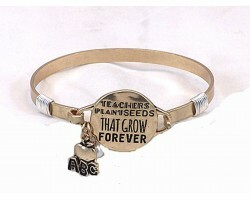 Wire bracelet is inscribed, "A teacher takes a hand and opens a mind and touches a heart." 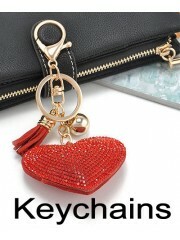 Apple charm. 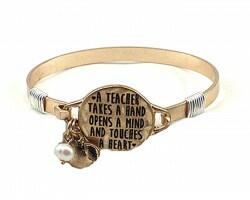 Hook style.